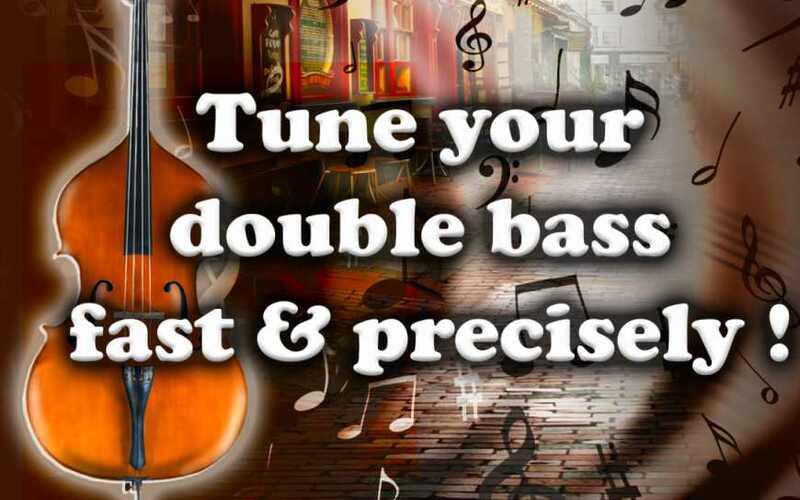 Tune your double bass fast and precisely! 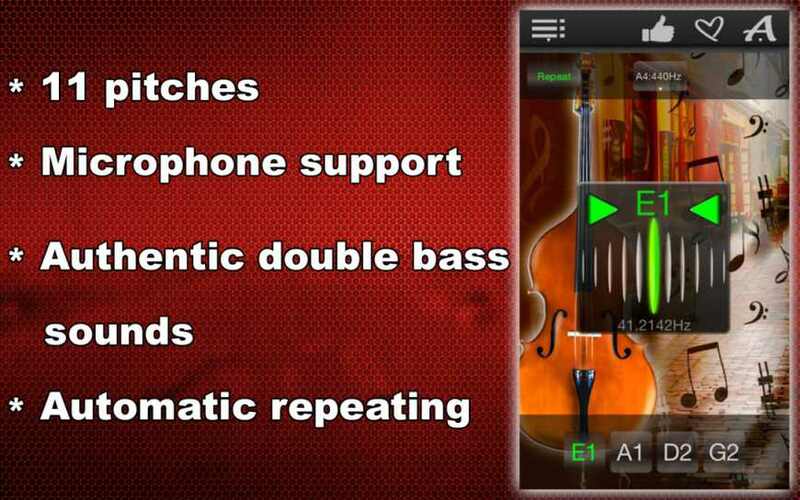 Quickly and accurately tune up your double bass! 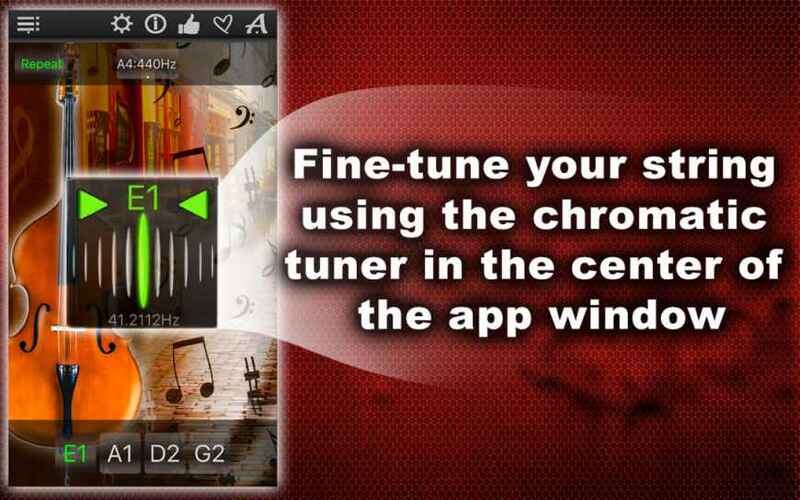 This simple and powerful tuner will help you with this! Not only can you listen to authentic sound of each string, you can also check if you correctly tuned it and “polish” it with chromatic tuner, positioned in the middle of the application! 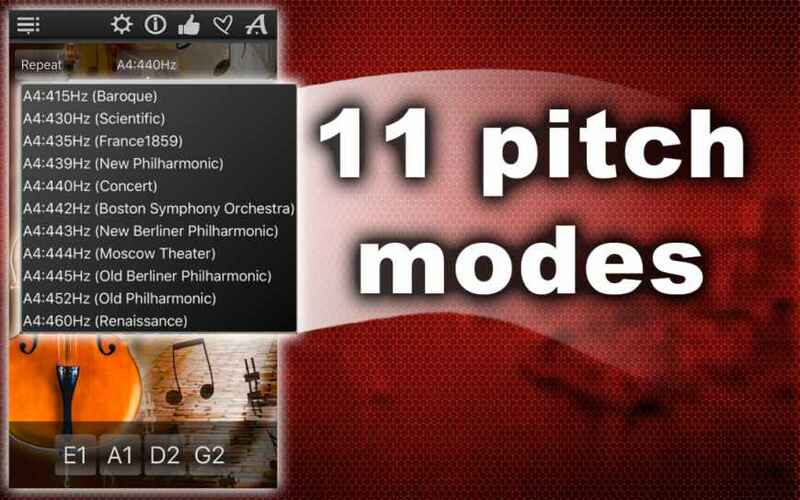 To begin tuning the double bass, select the best applicable timbre from 11 available in the menu. 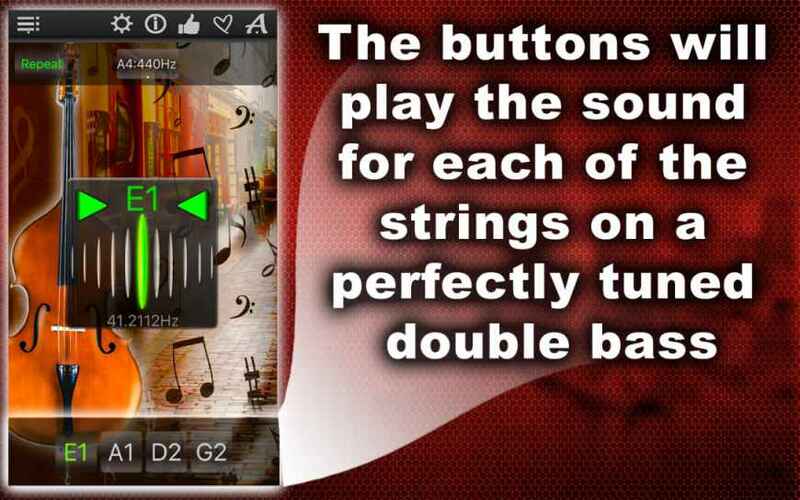 The four buttons in the lower part of the screen correspond to the 4 strings of the double bass. Each will play the sound of a perfectly tuned string. If you want to simplify the process, use the Repeat Mode. 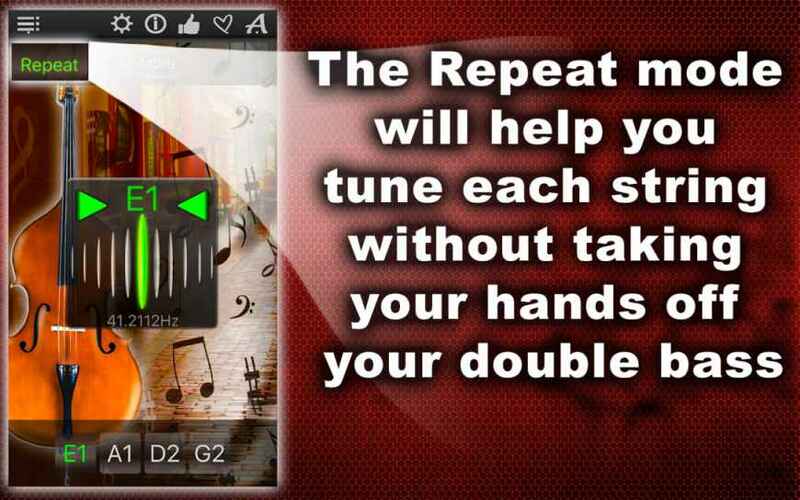 This will allow you to tune double bass without having to interrupt yourself. Chromatic tuner in the middle of the screen will automatically check if the string you’re working on is tuned correctly. Additionally you can use it for finer tuning of the strings. If a string is tuned perfectly , chromatic tuner will start blinking green. If it’s blinking red, you have to continue tuning. Application will give you hints on what to do with the string: if you see a red arrow pointing right, that means the string is stretched poorly. If the red arrow is pointed left, that means the string is overstretched. Continue tuning the string until the tuner starts blinking green and then move onto the next string, keep going until your double bass is tuned to perfection. And now enjoy playing your double bass!